Super glue, instant glue, cyanoacrylates of various brand names is one of the relative new comers on the woodworking scene. I believe it was originally developed for surgeons to use to glue skin cuts back together instead of using sutures. If you have ever used it, you can attest to its skin bonding ability. If you have any of this glue in your shop or home, you should go right out and get some solvent. You may never need it but if you ever glue your skin you will need it then, and nothing else will release your skin without pain and suffering. So, get the solvent. This glue is sold in different viscosities or thicknesses. The thin type is like water and it will “wick” deep into cracks and splits, probably the best use for this glue. 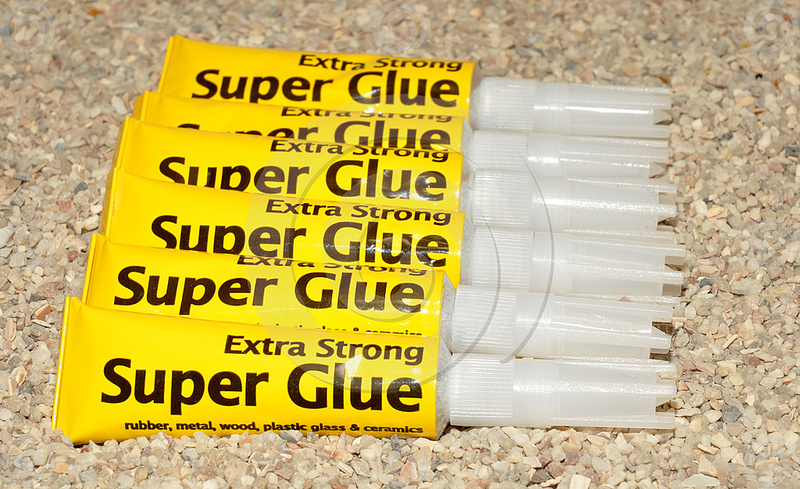 Little cracks or splits on the edge of solid wood are quickly repaired with this glue. Just put a few drops on the crack, then quickly tape the crack with blue tape. In about 5 minutes its set up and you can remove much of the tape as will come off, usually have to scrape it with a sharp chisel. They sell an “accelerator” liquid in a pump spray bottle which causes the glue to bubble up, turn white and instantly ‘set’ the glue. This stuff used to work great, but when I have used it in the last few years it isn’t the same, and it doesn’t work nearly as well. The thicker super glue will work for other jobs, like gluing a porcelain handle back on a coffee cup or leather to wood. Veneer Repair – It just doesn’t work for the long term. You will have to repair it again later, unless you clean all the old glue completely before trying it. 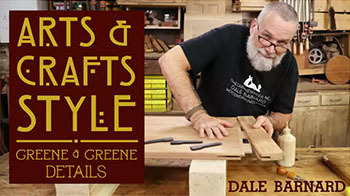 Gluing Edges or Corners – When you have large surfaces or edges/corners that are subject to hard use super glue dries very hard – so it can be brittle. Any awkward bump or knock can pop it off. I’m sure some of you have experienced that. Joinery, Dovetails or Mortise & Tenon – Super glue sets up too fast to get everything together – so don’t even try it! Edge Gluing – Same problem as above. And don’t use it on your dog’s head to attach antlers this year. As a finish on the lathe for pens. It works great for this. Another tip concerning the bottle the glue comes in. I use to have to replace the lid and tip because they would be glued together and could not get them open. Now, when I use the glue I don’t put the lid on the tip for about 5 – 10 minutes, which allows the glue on the tip to dry so it doesn’t glue the lid to itself. 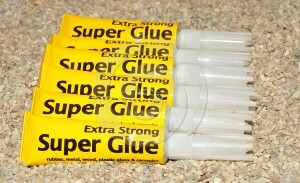 These are a few of my tips on using Super Glue. Please comment below and share other unusual uses you have discovered or tell me about some things you tried that did not work. Previous post: You Can Teach an Old Dog a New Trick!